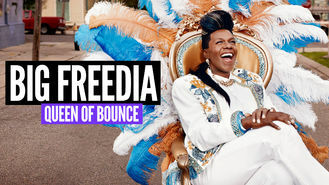 Big Freedia: Queen of Bounce (2013) on Netflix Ireland. Check worldwide Netflix availability! If Big Freedia: Queen of Bounce isn't available in your country, or you are visiting a country where it isn't, there is still a way to watch it! This reality series follows New Orleans rapper Big Freedia as she seeks to take her underground hip-hop style called "bounce" into the mainstream. This larger-than-life queen reimagines dance music with her own brand of rump-shaking hip-hop, New Orleans-style!